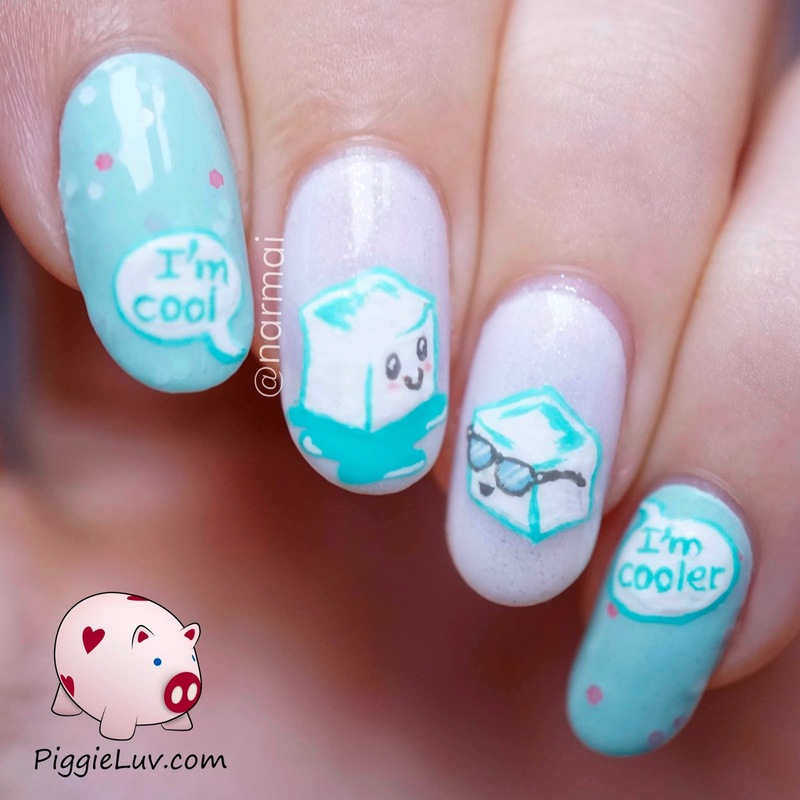 What's cooler than being cool? Ice cold! Just some ice cubes chilling here. The one with the sunglasses has upped the coolness factor, see? The perfect cute nail art to combine with Picture Polish Minty, the collaboration shade with La Paillette Frondeuse!! Click to see more! Back in November, I won a nail art contest on La Paillette Frondeuse and I won four shades of Picture Polish and a top coat! She was super quick in sending me my prize and she is just SO sweet and caring, and her blog ROCKS by the way, I love her pictures so much!! So I used Picture Polish Minty & White Wedding (both polishes were part of the prize) because they make such a good match! White Wedding looks kind of glassy, icy, so I painted these ice cubes with acrylic paint. Those glasses are SO cute! He has a bit of a crooked smile but it suits him, I think. Everybody has a 'cool factor'. 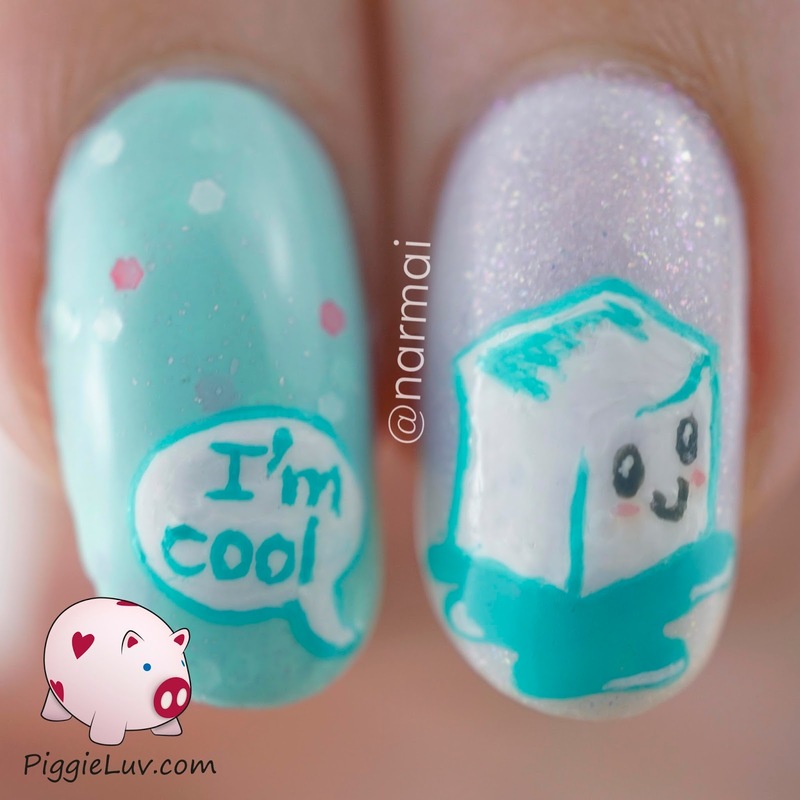 It doesn't matter if other people consider it cool, if it makes YOU feel cool, it's cool! Mine's nail art, I show my pictures to everyone because I feel like it's the first thing that I'm definitely 100% proud of. 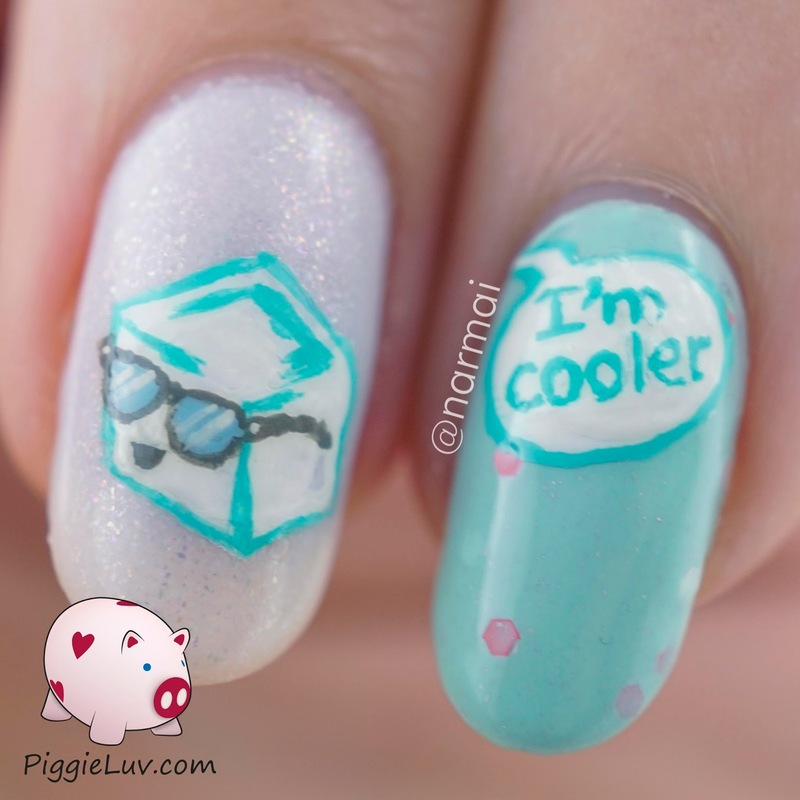 What's your cool factor? What's the thing you're most proud of? Tell me in the comments!